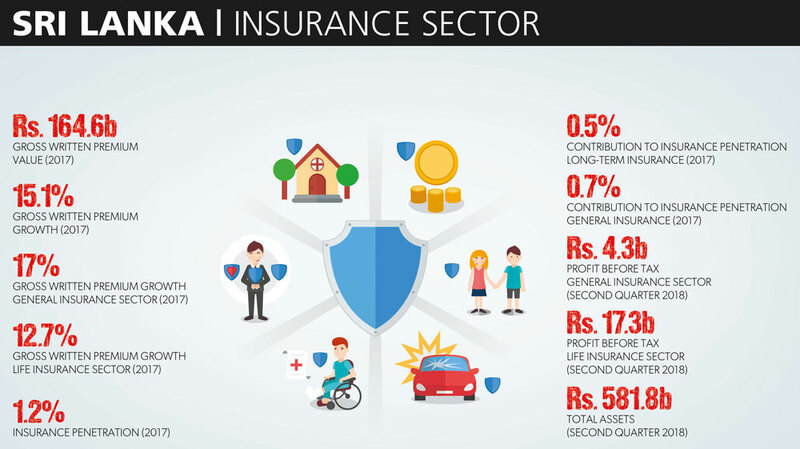 Despite the less than desirable performance of Sri Lanka’s economy in the last two years or so, the insurance sector recorded double digit growth. Prospects for the sector remain attractive if one were to judge by overseas investor interest in the local insurance sector. 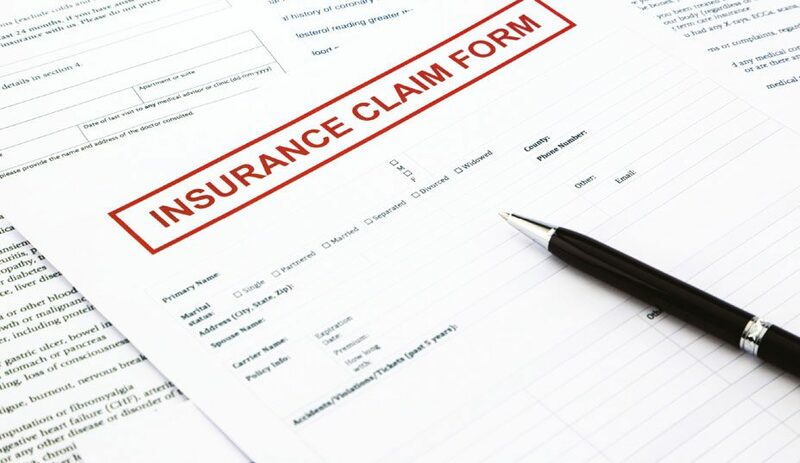 In the last nine months of 2018, the life insurance sector grew by 12 percent while general insurance increased only by nine percent. Overall, the insurance sector accounted for less than 1.3 percent to GDP with life insurance penetration at a mere 0.5 percent of national output. Based on the national headcount, only 12 percent of the population have life insurance policies whilst motor insurance drives the general insurance business with 67 percent of the total value. SECTOR SHAKEUP Segregation has brought about consolidation in the sector. AIA, Union Assurance (UA), Asian Alliance (now Softlogic Life) and Janashakthi all shed their general business portfolios to focus on the more profitable life market. This resulted in Fairfirst and Allianz moving to strategic portfolio expansion with the top four players in the general business holding 71 percent of market share. This is mirrored in the life segment with the five leading players accounting for around 78 percent of the insurance market. The financial services industry is a business of scale, and companies need to scale up and maintain a significant position to be in the reckoning. The most obvious fallout from mergers has been a duplication of resources in the merged entities. However, with growth in business and versatility of talent, Ahamed maintains that any negative impact has hardly been felt. CAPITAL RULES Furthermore, the Risk Based Capital (RBC) rule replaced the previous Solvency Margin rule with the minimum capital requirement also increasing to Rs. 500 million from the 100 million rupees, which was applicable in the past. The move was well received as it enables a clearer focus on elements that dictate the risk profile of a business, bringing greater stability to the sector. The introduction of RBC has impacted liability valuations of life insurance firms, some of which have reported substantial one-off profit releases that have enhanced their appeal. RBC combined with the requirement for previous composite insurers to segregate their life and general insurance businesses into separate companies. He believes that the sector has a considerable number of both sales and technical experts. There are over 100 chartered insurance professionals in the market and the number keeps growing. “However, we need more qualified actuaries in the market and there’s a dearth of such talent,” Ahamed notes. He believes that sensor technology is a major contributor to big data and will profoundly change the sector. Telematics and other connected devices record driving patterns and can change behaviour. In-house and building sensors monitor environmental conditions, and could revolutionise pricing and claims. With motor insurance dominating the general business, profitability is driven mainly by this product with overall margins under pressure. Whilst further consolidation is likely, it’s expected that the top five players will fight it out with an equilibrium position some years away. “A similar situation is likely in the life business with new entrants less likely to enter due to the long-term nature of the business. There is a great growth opportunity for all the key players in this highly under-penetrated market if they can execute smart business strategies,” Ahamed states. NEW STRATEGIES Lack of awareness and low disposable incomes are the keys to insurance penetration. It is believed that an increase in Sri Lanka’s per capita income to over US$ 6,000 will deliver a growth spurt for life insurance with potential for the market to double in the next three to five years. Life insurance companies predominantly depend on traditional agency sales channels and spend substantial sums on sales expenses, which are added to the price of products. This makes a product that’s already felt to be unnecessary seem expensive and even more redundant. “Therefore, moving from expensive distribution systems to direct selling methods such as alternative channels, online, mobile or telesales may help reduce premiums. The challenge is that life insurance is a product that’s sold and not bought, which is where the agency sales force plays a critical role in driving business,” Ahamed surmises.